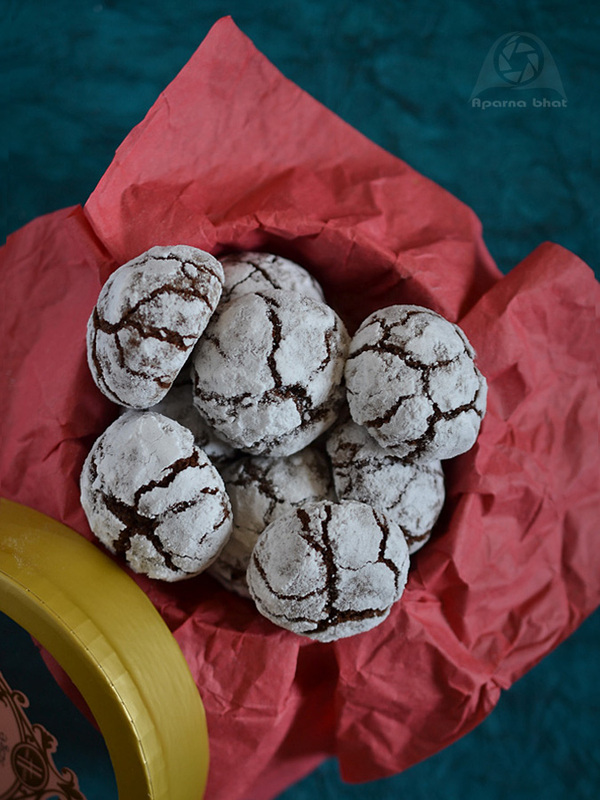 A must try cookies which I had bookmarked long long back when this recipe was doing rounds on FB baking group . Recipe by Cheryl from KitchenKemistry which you can check here. I got a chance to bake them this holiday season. If you don't have ripened bananas apples can be substituted in the form of applesauce. The below recipe is with applesauce. Take the ingredients mentioned under bowl 1 and mix it with wire whisk. Take the ingredients mentioned under bowl 2 and mix it with hand mixer at low speed for 4-5 mins to form a well blended mixture. Now transfer the dry ingredients into bowl 2, little by little at a time. Take care not to overmix. The mixture will look sticky and messy. Cover the bowl with cling film and keep it in refrigerator. I kept the dough overnight before making cookies. Next day, preheat the oven at 180 degrees C. Line a cookie sheet with parchment paper. 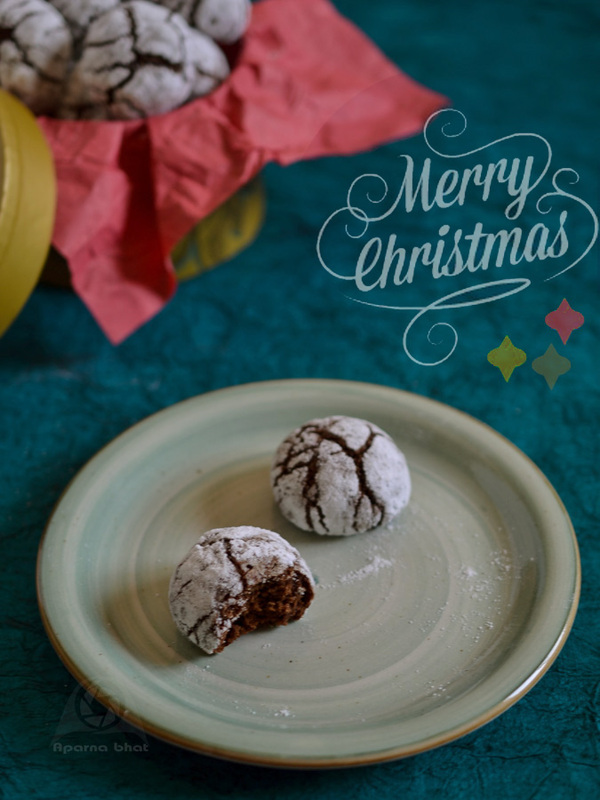 Keep a plate/bowl with powdered sugar that will be used to coat the cookies. Remove the dough from the fridge. 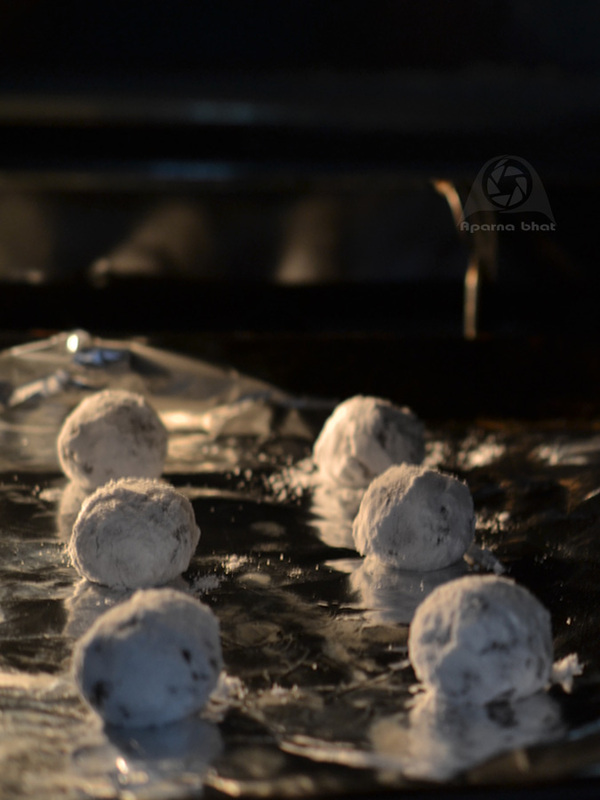 With help of melon baller, scoop out the dough and roll into round balls with greased palms. 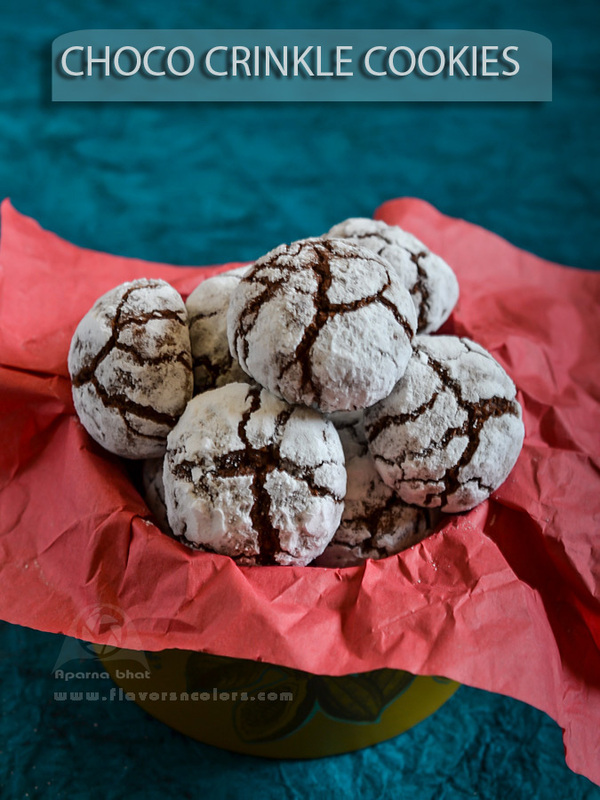 Coat them with powdered sugar by rolling them as you see in the below pic. 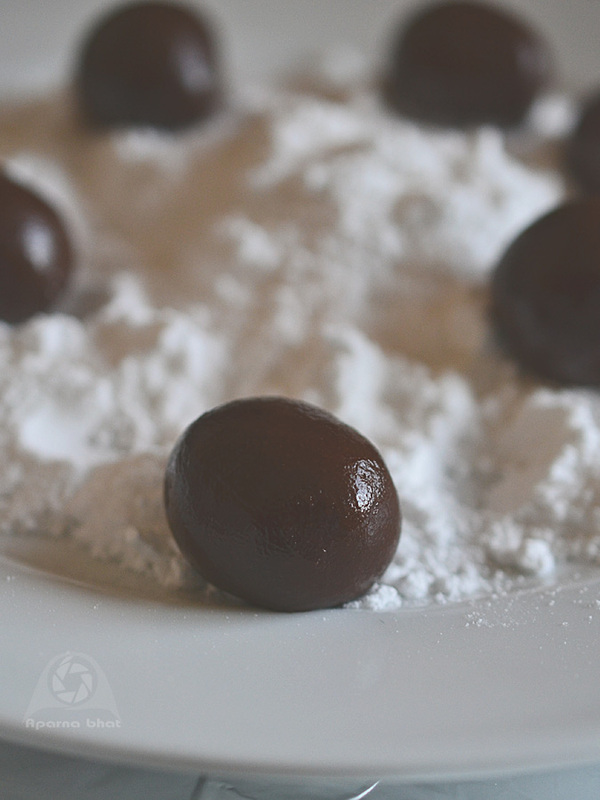 Place the dough balls on cookie sheet 2" apart and bake for 13-15 mins. Let it stand on the cookie sheet for a min before transferring them to wire racks. Cool them completely and serve them with cup of milk or hot tea. Note: I could prepare a batch of 12 cookies at a time. Baked them in 3 batches. The remaining unused dough was shifted to fridge until I was ready to prepare the next batch.